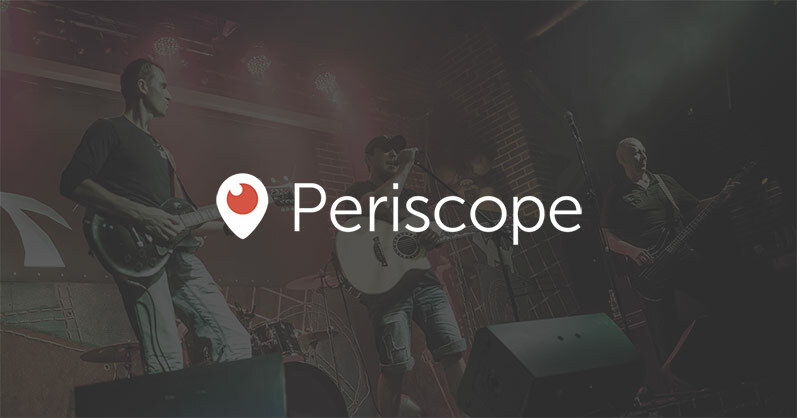 One of the most fun and easy-to-use live video streaming platforms available today is Periscope. Periscope is a live video platform that was bought by Twitter in 2015 when the video platform startup was just 11 months old and hadn’t even launched yet. Learning how to use Periscope is essential to mastering the growing toolbox of live video platforms and growing your online audience. Periscope is to Twitter as Facebook Live is to Facebook. The two integrate directly with their respective social media platforms, allowing users to watch live video right in their social media feeds. They don’t have to follow a link to another website. What sets Periscope apart is that, while it is fully integrated with Twitter, the platform also stands on its own. Periscope has its own app that many use to watch live streams. When using the app or the Periscope website, viewers can see who’s broadcasting, follow their favorite streamers, and comment on those streamers’ videos. Periscope is one of the more popular streaming platforms, so it’s one that brands and content creators want to incorporate into their live streaming strategies. It’s also a bit unique in a few different ways. Here are a few recommendations you should follow if you’re aiming to learn how to use Periscope to optimize your live video stream for Periscope’s particular style and specs. With Periscope, you can stream live directly from the app on your phone. While convenient, if you’re looking to broadcast a professional stream, you’d do better to stream from a computer or hardware encoder. Neither style is a problem with Periscope — but you do have to be sure to get the settings right. Periscope likes you to use a bitrate of 2500kbps and a max resolution of 720p, both of which are a lot lower than the recommended metrics for many of the other video platforms. If you try to stream at the same rates of other platforms, your Periscope stream may become choppy, or cut out altogether. Many streamers are now multi-streaming, meaning they’re going live on Facebook, Periscope, YouTube, and others simultaneously. Folks learning how to use Periscope might think that to include Periscope, you have to crank down your resolution and bitrate for every platform — but that’s simply not the case. Using a good multi-streaming service like Switchboard Cloud easily solves that problem. Switchboard provides transcoding services which, in a nutshell, means that it allows you to stream at the fastest bitrate, and highest resolution, you want. Switchboard will transcode or transrate the feed — basically, downgrade it — to the specs Periscope needs, while maintaining a higher resolution on the other platforms that support it. The service does this all behind the scenes, so you need only go live and look great to reach multiple audiences, simultaneously. It’s also worth noting that Epiphan’s Webcaster X2 encoder now integrates with Switchboard Cloud, allowing Webcaster X2 users to stream to Periscope for the first time (while also multi-streaming to other platforms too!). Now that you’ve got the technical stuff ironed out, the next step in learning how to use Periscope is to think about how you’re going to present this live stream. For this you need to get a couple elements nailed down. Keep in mind, video uploaded to Periscope can be discoverable on Twitter, a platform where the average attention span is shorter than the phrase “attention span.” When folks scroll by your video, you need to make it immediately attention grabbing — or people will just keep on scrolling. The first component to this is figuring out your shot. When setting up your camera, pay close attention to what’s in the background. You don’t want an overflowing trash can or something embarrassing in the shot. Once you’ve got a good spot picked out, make sure you have good lighting. Folks have no interest in watching a live stream of a dark room. The second component is to make sure your audio is good. Obviously, avoid places with lots of background noise. Then be sure that all the people in the stream are picked up properly by your microphones. Not being able to hear what people are saying is a quick stream killer. Now for the third step in learning how to use Periscope! Whether folks find your Periscope stream on the Periscope app, or via Twitter, the first thing they’ll see is your text description. It should be like a newspaper headline. Make sure the text grabs attention, and explains what the stream is about. People search both Twitter and Periscope for all kinds of hashtags. Be sure to take advantage of this. Of course, incorporate obvious hashtags that fit your stream. For example, if your stream is about a new app, you might use #app, #iphone, #android, etc. You should also pay attention to trending hashtags. Hashtags that are trending are being searched for by a lot of people, and you can capitalize on this. Finding even a remote way to connect your content to a trending hashtag will make your stream easier to find, and as a result, your video will show up in front of more people. If you’re truly trying to learn how to use Periscope and optimize your content for streaming, and you want to really grow on this platform, the best way to do so is to play to the audience. For brands that already have a Twitter following, and probably have a good idea of the types of things that pique their audiences’ interest, the most important thing is to continue incorporating those things in your live videos. For those starting fresh, with no following to leverage, picking a target market is the best method. Use the text, hashtags, and content in your video that would interest those folks. Eventually, you’ll organically grow your audience. Regardless, remember, live stream is all about audiences. While they are watching, encourage interaction. Viewers can comment on your video in almost real-time. Be sure to respond to them, and call them by name during the stream. You should constantly remind audiences during your stream to follow you on Twitter, and to share your video on all their social media platforms. Always be sure to also tell people to follow you on Periscope. The Periscope app on their phone is great about notifying them when you go live, and that really helps drive people back to watch your live streams whenever you go on. Like with any live platform, folks are only going to stick around as long they’re interested. If you want to build a strong, loyal audience that comes back over and over, you’ve got to give them something good to watch. You’ve now learned the basics of how to use Periscope – so get out there and start streaming! Next step? Epiphan Video always recommends a dedicated hardware encoder to ensure a reliable livestream, so be sure to check out Epiphan’s Webcaster X2 and learn more about streaming to Periscope, Facebook Live, YouTube, and more with Switchboard Cloud. Matt Masur is an award-winning tech entrepreneur who focuses on content creation, digital marketing, and live streaming technologies. He is a regular contributor to the Switchboard Live blog. Learn more at MattMasur.com.